The Peoples State Bank was founded in 1904 and has served the Ellettsville/Bloomington area and surrounding communities for over 100 years. From a single office in downtown Ellettsville, the bank has grown to ten branches in six local communities, including Bloomington, Ellettsville, Spencer, Morgantown, Paragon and Nashville. 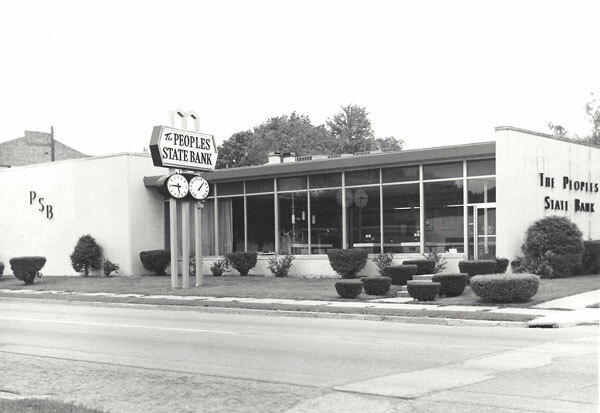 In this day of mega-mergers and large, out-of-state corporate banks, The Peoples State Bank continues to be a bank that works and lives in the local community; where customers can get the personal, face-to-face attention they deserve, and decisions can be made by people who are members of the local community rather than being passed up the chain to some far-away corporate headquarters. While maintaining a presence locally in the community is essential, The Peoples State Bank realizes that our customers should expect us to offer the same services that any large, out-of-state bank can offer. That is why we provide the convenience of services such as: ATMs at all of our branch locations available 24 hours per day, everyday; Telephone Banking; and our newest offerings, Internet Banking and Online Bill Payment Service. If you are looking for a bank that will know you like a neighbor, stop by and visit with us at any of our ten locations so you too can be treated like a person and not a number!